The Blues and the Saints remain undefeated after tonight's twilight matches in the Vic SUPER SLAM. Blues' skipper Evan Gulbis smashed the first century of the competition against the Cats. The Dogs' Matt Underwood (90* off 60 balls, 8 fours, 3 sixes) went close. With the ball the Saints' Shea Gribben (5/30) starred and the Swans' skipper Luke Wells (53 & 5/30) had a sensational all-round match against the Tigers. The Blues (4/202) and the Swans (4/201) topped ten an over, targets that proved well beyond the Cats (124) and the Tigers (130) respectively. The Blues' total was set up by openers Evan Gulbis (102 off 61 balls, 9 fours, 3 sixes) and Brayden Stepien (69 off 35 balls, 5 fours, 5 sixes), who put on 114 for the first wicket in just 42 minutes. 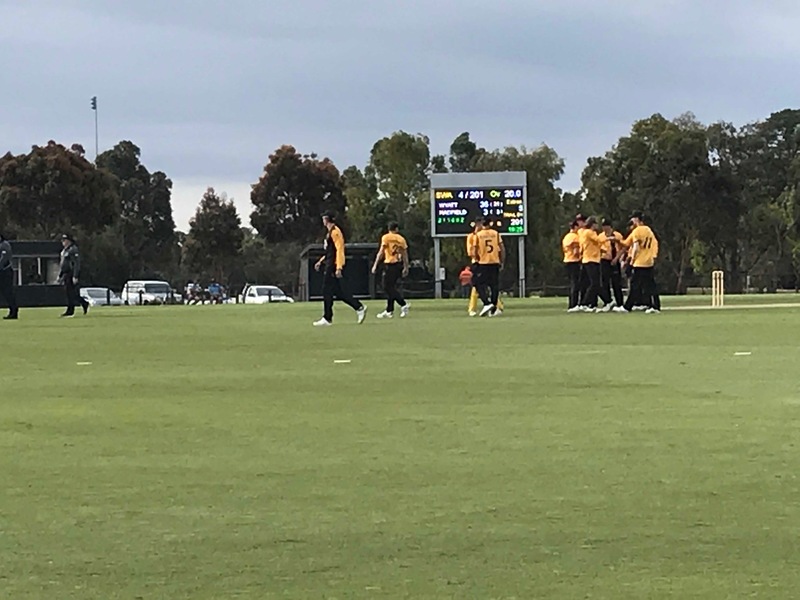 The Cats' reply lost its way at 7/42 before Tyler Larkin (35) and Nathan Alexander (40*) hit a couple of sixes each to add some respectability to the total. The Swans were also impressive, posting an imposing 4/201. 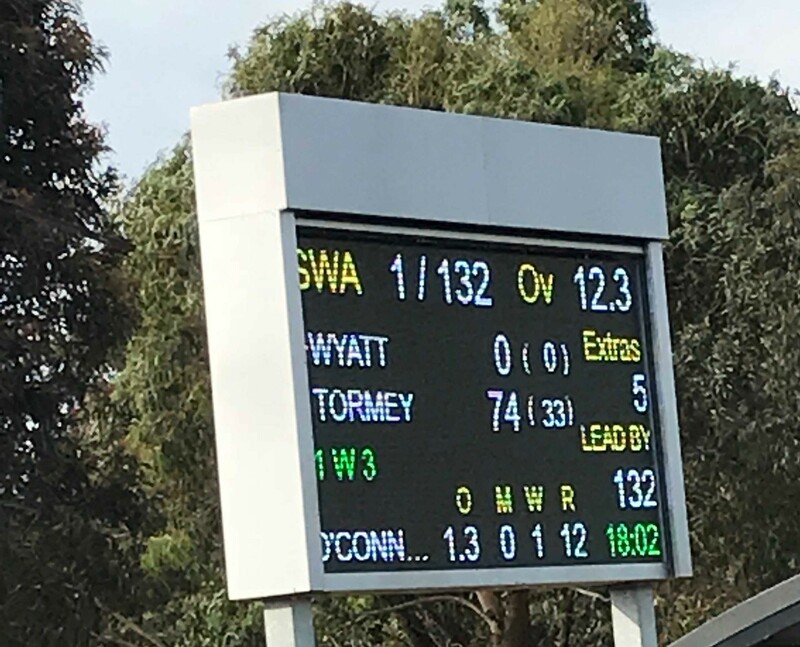 Openers Luke Wells (53 off 43 balls, 2 fours, 3 sixes) and former Hawk and Lion Dale Tormey (76 off 36 balls, 4 fours, 7 sixes) put on 126 for the first wicket in just 47 minutes. The Tigers' reply maintained a good run-rate, but regular wickets saw them fall behind. Nuwan Kulasekara (3/17) took the first three and Luke Wells (5/30) cleaned up the tail. Other outstanding performances this evening came from Uni's Yousaf Iqbal (65 off 46, 5 fours, 4 sixes), the Saints' Damon Egan (74* off 39, 5 fours, 5 sixes) and the Rams' Joe Loorham (51* off 25, 8 fours, 1 six).